Dutch roses – insanely beautiful flowers, but they are very whimsical and capricious in farming, like nutrients and fertilized soil that is well breathable. Dutch rose has a fairly low resistance to cold, as their root system is not designed for the harsh Russian moroses. So how do you grow these wonderful flowers on your site? In order to grow Dutch roses in the area, you can purchase plants, but their price is quite high. You can try to grow these flowers from cuttings. 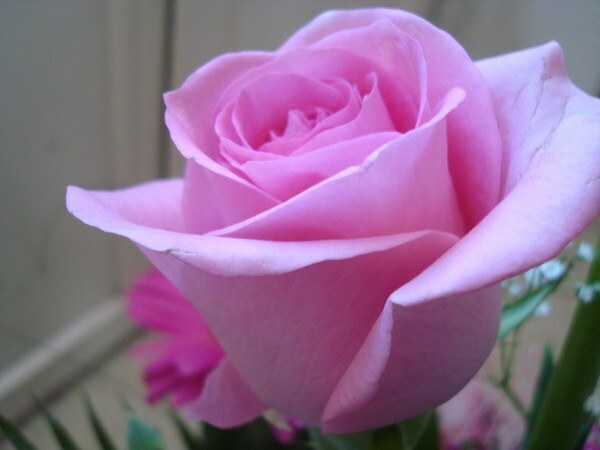 So feel free to go to the flower shop and select the best rose for grafting. At the same time pay attention to the appearance and freshness of this plant, ask the seller how long the flower in the vase. Since the flower is already falling petals and leaves are unlikely to take root. Dutch roses aregrown by grafting, referred to as own-rooted. This method of reproduction may seem simple enough, but these own-rooted roses should be grown only in greenhouses. It can be a Conservatory, greenhouse or even apartment. After you brought flowers home, immediately proceed to the cuttings. Cut the middle part of the stem of the rose cuttings, the length of which should be 12-15 inches. It should be a couple of kidneys. The upper cut should be smooth and straight, while not above half inch above the Bud. The lower leaves of the cutting, remove, and the top cut to one third. Trim the spikes. Cauterized upper section of brilliant green, or potassium permanganate. Trim the bottom stem under 45 degree angle and remove some of the skin around the cut. Now you need to put cuttings of roses in a special growth drugs, which are sold in a flower shop or aloe Vera juice, leave for 10-12 hours. Then dip the lower part of the stem in a special preparation (usually in powder form), which promotes the formation and strengthening of roots. It remains only to plant the cuttings in specially prepared and fertilized the soil to a depth of 1.5-2 cm. The soil surface, sprinkle with three-centimeter layer of sand. Planted the sprouts, pour warm water and cover prepared plastic bottles with the bottom cut off (ie turned up). Watering can be generated through the neck of the bottle. If you start to see a Bud, then it will be removed immediately. After about a month, you can gradually accustom rose cuttings to the open air. During rooting plants highlights the fluorescent light. The optimal temperature for rooting is 22-25 degrees. A very important stage in the cultivation of Dutch roses in the room – spraying the cuttings. In the first two or three weeks, spray the plant 5-7 times a day. The soil should be moist but not extremely wet. Further reduce spraying up to three times a day. Rose is a luxurious and expressive gift, but there is nothing easier than to order delivery of bouquets of roses to your home or office! Bouquet of roses – a recognized symbol of love! You can buy roses from our catalogue and order delivery of bouquets of roses online and by phone from our managers. Need a bouquet of a certain kind of rose? Maybe you are a business and looking for a reliable partner which will regularly supply you with fresh rose? Flower shop New Holland — at your service! Trying to offer their customers the best, we rely on suppliers and grow the flowers themselves. Using Dutch technology and imported planting material.